A total of nine spring football games of teams that will compete for the 2013 Atlantic Coast Conference Football Championship and a trip to Charlotte for the 2013 ACC Football Championship Game, will be available on ESPN3 this spring, ESPN and the ACC announced Wednesday. The games begin with Virginia’s spring game on April 6 (1 p.m.) and will conclude on Saturday, April 20 with the annual Kay Yow Spring Game at NC State (1:30 pm) and the Virginia Tech spring game (3 p.m.). Included will be spring games from six Coastal Division teams in Duke (Apr. 13), Miami (Apr. 13), North Carolina (Apr. 13), Pittsburgh (Apr. 12), Virginia and Virginia Tech. 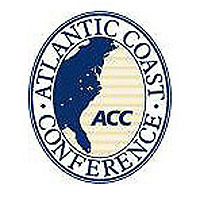 Pittsburgh, along with Syracuse, will officially join the Atlantic Coast Conference on July 1 of this year and will compete for the 2013 ACC Football title. Atlantic Division teams with spring games on ESPN3 include Clemson (Apr. 13), Florida State (Apr. 13) and NC State.